Treating Your Vehicle Like Our Own! Dob’s Brake & Auto Center in Oxnard, CA is your go-to repair facility for any of your auto service needs. 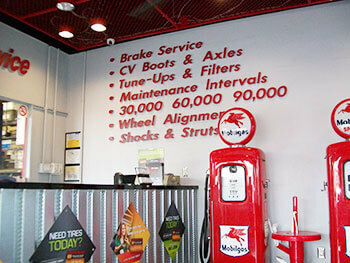 We protect our customers’ vehicles with timely preventive maintenance services. Our goal is to keep you on the road and on time for your next appointment, not on top of our vehicle lifts. The truth is, all vehicles need maintenance to keep them fully operational. However, whenever we can help you avoid costly repairs and breakdowns, we’re more than happy to do so. We have to drive our vehicles to work as well, and we’ll treat yours just like it were our own. It’s much better to see you drive in for a quick check-up or maintenance than to see you towed in for repairs. Let us help you avoid that altogether by providing quality auto services like only we can. Every visit to our repair facility will enhance your vehicle’s performance, whether it’s from valuable automotive counsel or from efficient automotive maintenance. We will continue to monitor your vehicle’s condition and keep you one step ahead of any potential danger. From bumper to bumper, our expert technicians have you covered. We can meet any of the repair or maintenance needs that arise. Efficient oil change maintenance services will preserve your engine. We’ll also provide all repair services using the best quality parts. Our state-of-the-art diagnostic equipment gives you the most accurate engine analysis. Avoid bad diagnoses by trusting a team that always delivers on time and within your budget. Give us a call today, and let us show you how we can help you. We’re a better alternative to the dealership because of our personalized attention and affordable prices. The team at Dob’s Brake & Auto Center has your back and will alway go above and beyond your expectation. Sometimes, our superior technicians even surprise us. There’s nothing we can’t fix, including all brake, engine, transmission, tire services, and much more! We look forward to serving you!